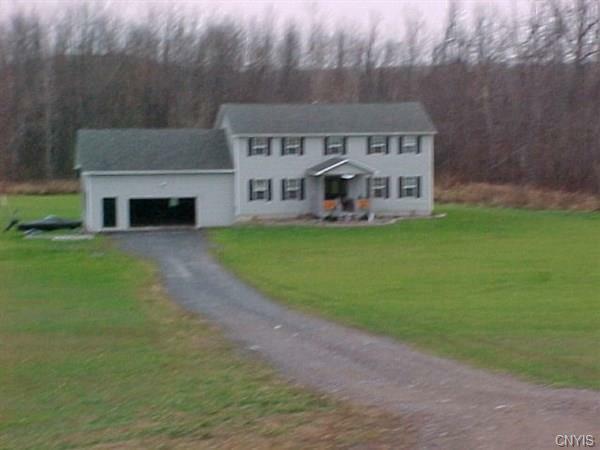 Country Colonial on 6.28 acres has easy access to main roads and 10 mins to the Thruway. This 3400 sq ft home offers 5 bedrooms, 2.5 baths, some updates, floors, and bathrooms. Needs TLC, siding and finishing work. Appliances do not stay. Directions To Property: North On State Route 34 From The Center Of Cato (Intersection Of State Route 370 And 34). Left On Veley Rd And The House Is On The Left And Sets Back Of The Road A Bit (Long Driveway). Look For Sign.